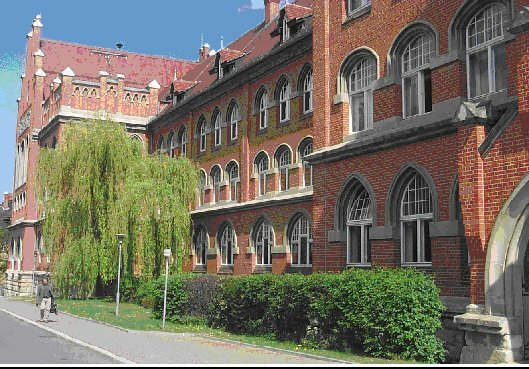 The Gymnasium "Friedrich Schiller" is situated in the middle of Germany - in Thuringia, also known as the "Green Heart" of Germany. In our school nearly 600 students from more than 80 small towns and villages are learning together. 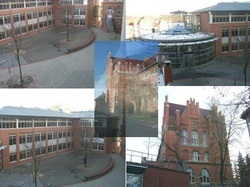 Our Gymnasium is a grammar school and the curriculum is preparing our students for higher education. The students’ interests in the field of mathematics and sciences as well as foreign languages are taken into consideration. Taking part in the Comenius project is a good chance to gain international experience and to integrate it into our daily educational process. Students of immigrant families are integrated into our classes as well. Exchange students enrich our learning process. Our students should be aware of being EU citizens. They should develop a kind of respect towards other cultures to see that everything that is different is equal in the same way. It is one of our aims to encourage the students to interact with people from different countries. We want them to improve the English language as well as their knowledge of other foreign languages.